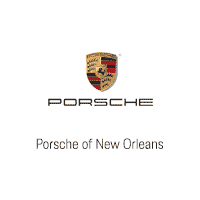 Why Would a Marrero, LA, Customer Want a Porsche Cayenne Lease? When you think of a Porsche, many images come to your mind. Not only is Porsche one of the world’s most foremost manufacturers, but it produces a wide variety of styles to meet your needs and preferences. If you’ve got your eye on an SUV to drive in Marrero, LA, you won’t find many options that can equal a Porsche Cayenne lease. As if leasing didn’t have enough advantages, this SUV model will exceed your expectations with its amazing features, durability, and high performance. If you’re in the market for a Porsche Cayenne lease, you’re probably ready for road trips, vacations, and adventurous excursions. These will require plenty of interior storage space. The Cayenne will come through for you. It has a maximum cargo capacity of 60.3 cubic feet and 27.1 cubic feet of space with the seats in place. There’s ample space in the trunk for your luggage, outdoor equipment, and various other gear and supplies. Plus, the Cayenne can tow up to 7,700 pounds. It also has a maximum payload of 1,862 pounds and has a wheelbase of 114 inches. Before you get too excited about driving this SUV in Marrero, LA, and beyond, you need to have peace of mind that it has the elements to protect you and your family. Never fear. The Cayenne has state-of-the-art features you won’t find in other vehicles in its class. If you collide with another object or vehicle, the dual front and dual rear side-mounted airbags will deploy to protect you from harm. There are also front and rear head airbags and a rear center three-point seatbelt. Stability control, traction control, and tire pressure monitoring could also save you in an emergency situation on the road. With a Porsche Cayenne lease, you’ll also have plenty of entertainment options to occupy your passengers. No ride should bore anyone, thanks to the vehicle’s 10 total speakers and three free months of satellite radio. There’s also the traditional AM/FM stereo and a USB connection. Along with entertainment, you’ll also enjoy elements such as cruise control (which you can access directly on the leather steering wheel). Everyone will enjoy the climate control as well, especially during hot or cold times of the year in Marrero, LA. You don’t need to search all over Marrero, LA, and surrounding areas for good Porsche Cayenne lease offers. Visit Ray Brandt Porsche and check out the selection today.